Welcome to the University of Mississippi! 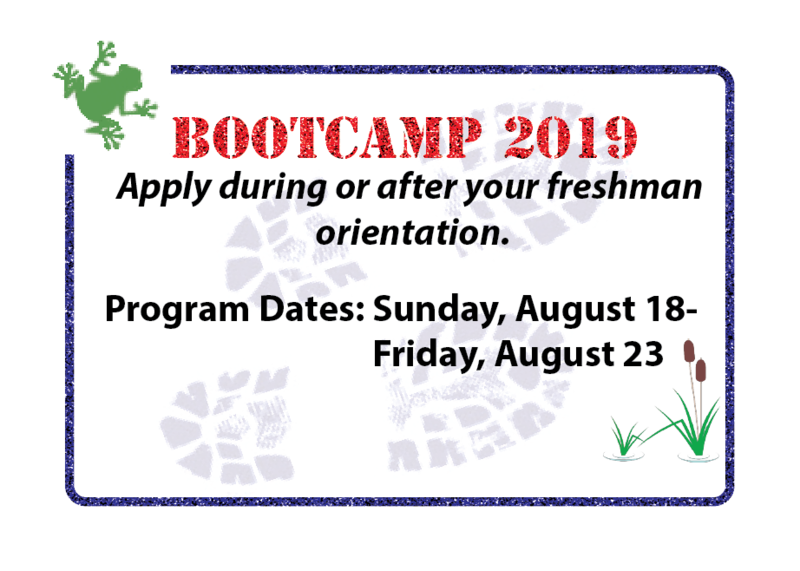 The 2019 Biology Bootcamp application for participants will open during Freshman Orientation. Biology Bootcamp is a 5-day intensive program for incoming freshman enrolled in BISC160 at Ole Miss. The program is designed to prepare you for what is expected in the first year of college. Many students struggle with Introductory Biology (BISC160) even if they have been 'A' students in high school. Bootcamp will provide the information, resources and tools that you need for BISC160. It doesn't guarantee learning or a good grade. Those are up to you! Our program is designed to help you succeed in your first year at college. Now in its sixth year, students who participate in our Bootcamp program average one letter grade higher than non-participants. What will you get from Bootcamp? The program will provide you with the tools you will need to be a successful student. The lectures, labs and seminars are presented by Biology faculty and staff and will give you a headstart on the BISC160 material. You will learn study skills that can help you in all of your classes. For the cost of the program, you will receive, your textbook for BISC160 and BISC162-and on-line textbook access (a $200 value) and early move-in to your dorm room. You'll also get the opportunity to meet the faculty and students already in the Department of Biology and work with a mentor who will be a resource the whole semester.